Are you ready for July? I'm not sure I'm prepared, but the year continues to rush past whether we're ready or not. Two things of note as we begin the seventh month of 2014. First, award-winning horror writer Gemma Files joins the EC team this month, filling in for Resident Editor Jeanne Cavelos. Jeanne is away for six weeks teaching at the Odessey writing Workshop. We're grateful that Gemma agreed to share her expertise with us. Second, I'm pleased to announce that Liz Bourke has joined OWW as the new Resident Editor for fantasy. Liz reviews fantasy and science fiction novels for Tor.com, Strange Horizons, and Ideomancer, and writes the popular "Sleeps With Monsters" column for Tor.com. In addition, she's working on her doctorate at Trinity University in Dublin. Liz is the very definition of a busy and accomplished woman, and we're lucky to have her. Time for me to stop talking and let you get to the good news, the thoughtful crits, and the Spotlight on one of OWW's own. Until next month -- write! "Your main character is both deaf and blind. One morning, she/he wakes up with no memory of who she/he is, where he/she is, or how he/she got there. Put us inside this character's head as she/he explores their enviroment and tries to regain his/her memories." Remember: Challenges are supposed to be fun, but don't forget to stretch yourself and take risks. If you normally write fantasy, try science fiction. If you've never tried writing in first or second person, here's your chance. The story doesn't have to be a masterpiece, this is all about trying new things and gaining new skills, and most of all, having fun. Challenge stories can go up at anytime. Put "Challenge" in the title so people can find it. Grimdark Magazine is a new market paying .06 per word in AUS dollars. They are looking for dark and gritty stories of between 1,500-4,000 words, and will also publish serial stories. Complete information can be found here. Flash Fiction Online publishes stories of between 500-1,000 words in any genre. It is a SFWA qualifying market, and payment is $60.00 per story. Full guidelines can be found here. Lore publishes fantasy, science fiction, and horor stories of between 2,000 to 6,000 words. They love genre bending stories as well. Query about reprints; they only rarely publish them. Payment is .05 a word for original fiction, .02 for the rare reprint. Full guidelines here. Shimmer aspires to publish speculative fiction across lines of race, income, nationality, ethnicity, gender, sexual orientation, ages, geography, and cultures, and therefore encourages submissions of diverse stories from diverse authors. They pay .05 a word for stories up to 7,500 words. Full guidelines here. The Editors' Choices are chosen from the submissions from the previous month that show the most potential or otherwise earn the admiration of our Resident Editors. Submissions in four categories -- science fiction chapters, fantasy chapters, horror, and short stories -- receive a detailed review, meant to be educational for others as well as the author. This issue's reviews are written by Resident Editors Leah Bobet, Liz Bourke, and C.C. Finlay, joined by guest editor Gemma Files. The last four months of Editors' Choices and their editorial reviews are archived on the workshop. Go to the "Read, Rate, Review" page and click on "Editors' Choices." What we've got here is a very promising opening to a superhero novel. There are four things I look for when it comes to novel beginnings: voice, line of direction, a sense of the world, and a sense of the story's stakes. (At least the initial stakes -- they're bound to change and grow as the story does.) Of course, those things are all connected, and flaws in any of them will influence the others. This chapter is doing a very good job with voice: the unnamed protagonist has a matter-of-fact, slightly world-weary affect that comes across to good effect in the first-person point of view and the short, staccato sentences. There's a solid personality there, one that reminds me of the kind of character that shows up in Greg Rucka thrillers and old-fashioned noir. The prose is strong. Apart from a couple of typos and one or two items of description that're more puzzling than "well done," I have few comments. While it zips along with compelling readability, a little more attention to sensory cues -- the impact of incidentals of the environment in sound, touch, scent on the protagonist's senses -- would make it even better and fill out some of the corners of the world. It could also stand to lose some of the scaffolding that marks uncertainty in prose: a couple of instances of "I notice" and "I feel" could stand to go. "The cataracts in his eyes swirl" -- that threw me for a loop, because "swirl" here makes me think of cartoon-crazy eyes or the whirling that happens in excited Japanese anime, which doesn't fit the rest of the tone. Another word, or another way to phrase this, might be better -- although what the sentence implies about the world, where a senior American general has untreated cataracts in both eyes, is subtle and well done. But do cataracts move? "If it weren't for him, everything would be like it was." -- This is not a sentence that makes much sense, even in context. But, contrarywise, "A throb in my shoulder sends spasms down my left arm and I grit my teeth, shut my eyes," that's solid stuff. Now this is what I mean about sensory cues. Do this for the environmental stuff more of the way along -- is the rain cold, is the ground gritty, does the air smell of anything, does it hurt to move? -- and the degree of connection the reader feels to what's going on will increase. It doesn't need to be everywhere, but telling detail helps build up the world. It's good at drawing the reader's attention to the next important thing in line, but it could stand to think of a few more things as important, is what I'm saying. So much for voice and line of direction. What about a sense of the world and a sense of stakes? These are as much structural issues as prose ones. For the rest of this review, visit the Editors' Choice area of the OWW site! Boyhouse was an easy choice for this month's EC. It's ambitious, character-driven, big idea science fiction. Like Sheri Tepper's The Gate To Women's Country, this novel takes place in a post-apocalyptic future where women rule society and have social structures in place to limit male-initiated violence on both the personal and political levels. But where Tepper explores an agrarian ecotopia, this novel goes the other direction and takes place in a technologically advanced future. Based on the first chapter, it also promises to incorporate third wave feminism in its narrative possibilities, which would put it in dialogue with and make it a critical update to Tepper's book. The day Captain Ghinala Prima's Boyhouse summons arrived, she was the last woman in the station to know. She stood before the Capitol Guard bullpen, giving out the day's assignments when the messenger passed behind her. The messenger, unmistakable in the crimson livery of the Ministry of Population, left the silver-gray envelope, in all its archaic glory, leaning against the Captain's door. Ghinala noted the sudden attention and silence of the Peace Guardians before her, but didn't turn to look, assuming it was yet another attempt by the guard rank-and-file to haze their new Captain. Falling for the something-behind-your-back gag again certainly would not help them accept her as their commander. This is very effective and made me want to read more. Despite that, my first piece of advice is that it's the wrong approach. From a technical standpoint, the first paragraph is third person omniscient. The second paragraph switches immediately to third person limited. We go from the author's voice to the inside of Ghinala's head, which is where we stay for the rest of the chapter. Because of the personal nature of the story -- Ghinala's internal conflict over the Boyhouse summons vs. her investigation of the assault -- we need to be in her head. The closer we are to her thoughts, his purposes, her intentions, the better the story will be. That needs to start in the very first paragraph. She's standing before her squad with a purpose. She is so focused on that purpose that she deliberately ignores the action behind her, and her squad's reaction to it, which means that she's blind-sided later. I strongly feel that we need to be immersed in her perceptions from the beginning. This means not just rewriting that first paragraph and finding a new hook, but also watching the language in the second paragraph. Don't tell us that she notes or assumes; show her noting, assuming. Make it immediate and visceral. "The Peace Guardians fell silent and stared at the messenger behind her. She didn't turn to look. It was yet another attempt by the guard rank-and-file to haze their new captain. Falling for the something-behind-your-back gag again certainly would not help them accept her as their commander." The rest of the chapter does this better, even excellently in places, but set it up from the beginning. There's a lovely, light visual tone to "Dreams Wandering the Daylight": the textures and silences of a whole world, very gently invoked. And it's the gentleness of the verbal brush used here that I want to spotlight this month: How "Dreams Wandering the Daylight" uses subtext to knit itself together so it feels cohesive and whole, and how we speak to readers with what we don't put on the page, and where a story falters when it doesn't extend its central strength all the way through every level of craft. Subtext, and how to use it, is the signal strength of "Dreams Wandering the Daylight." The author signals the narrative approach she's going to take in the very first line -- "There are bottles of pale blue glass lining the windowsill, forming a fragile, delicate wall and throwing dancing lights against the floor" -- which tells readers exactly what the important thing will be in reading this piece: noting the delicate, watching out for moving images, and paying attention to the small things, just as Cassandra is right here. It's a neat trick, encoding the user's manual for the story in the first lines, and one that's followed up on immediately, as we get into the physical blocking of how David and Cassandra take up space. David and Cassandra's dance, both physical and verbal, is a fascinating read. Cassandra's tracking of David by everything but her eyes -- directional sound, where the teacup lands, the impression of a shrug -- feels like telling readers where David is through subtractive design: by outlining the space around him, rather than directly describing him. It says, without placing it on the page outright, something very telling about the state of their relationship: slight tension and a comfortable avoidance. And it provides a wonderfully immersive, holistic sense of worldbuilding, as readers are gifted sounds, directions, implied body language instead of just the visual. The idea of describing by inference flows straight into David and Cassandra's many-silenced relationship. The obvious gaps between what's said aloud and what's communicated -- to borrow a term from comics, the use of white space between them -- creates an immediately nuanced sense of a relationship lived in a long, long time. It's because "Dreams Wandering the Daylight" makes clear that they both understand what's not being said -- in lines like "'No,' she says in the way that actually means no," and "She is about to add that she would like tea when a cup slides onto the table in front of her." That silent communication, bolstered by the context of Cassandra's uncertain internal narrative, makes their friendship feels worn in, but not worn out. It's when that unifying tool, subtext and inference, is abandoned that "Dreams Wandering the Daylight" starts to falter, and that's in the sentence-level prose. While there's a gorgeous visual imagination at play in "Dreams Wandering the Daylight" -- "rough with the memories of swords" was a favourite for me -- the sentence level is where the story begins to overstate its own case. After the first two scenes, which are comparatively tight and cohesive, the story starts to repeat itself slightly, and the sentences feel less crisp. Things to look out for in terms of pulling that effect back are the heavy use of gerunds -- wanting, pouring, feeling -- and helping verbs that get between the readers and the actual action. As an example, consider the difference between "The world feels like it's spinning, and it is only getting worse," and "The world is spinning, and it's only getting worse." Just as readers can infer, beautifully, the relationship between David and Cassandra, it's plausible to infer that this is what Cassandra feels without reminding readers that they're outside of her, not in the room, and on the other side of the page. That wandering element to the structure shows even more in terms of the transitions between each scene. As it stands, many of the scenes in "Dreams Wandering the Daylight" don't end so much as they just stop. They exist as moments in time independent of each other, not progressive steps in one, unified story. I'd suggest some attention to the structural arc of each scene -- thinking about why the end of each one is a stopping point -- and building transitions by looking for the seeds of each new scene in the last one. What does the second scene pick up that the first planted? What does the third scene set up for the fourth? Set just after the end of the Cold War and introducing an amazing amount of open-ended information, this appears to be the prologue to a novel -- a contemporary "secret history" spy thriller with supernatural elements. Our protoganist character, Michael -- from whose point of view we see everything -- has just been approved for field work in a version of the British Secret Service; he is brought along by his supervising officer Colonel Fanshaw to a meeting with Sinclair, the mysterious head of "Mockingbird," a rogue intelligence organization made up of agents from all around the globe. Fanshaw hopes to use Michael's psychic powers (a combination of telepathy and retrocognition) as a secret weapon to force Sinclair to discontinue Mockingbird. "Michael, twenty-one, new in grade, followed Colonel Fanshaw into the B&B. Michael was new at following, but keen to learn. Colonel Fanshaw had summoned him that Sunday morning and they had driven from Whitehall to Salisbury and this out of the way guest house. Michael didn't know anything else. He'd come into an arm of government made up of the shady overlap of the Foreign Office, security services and intelligence work -- and he had learned that many things went unsaid. He had expected to be challenged by his new career. And though fresh from university, he did not intend to shy away from the more unsavoury aspects of the secret service. At the same time, he kept a few things secret about himself. In private moments, he wondered how realistic personal secrecy was. Secret work, he began to understand, had its own geography, its own shape. The British secret service encircled him, a Lovecraftian structure of impossible angles, subtly shifting, refusing to be still, till he saw cubes with more than six faces, or geometric shapes with impossible angles. Any deep consideration might drive him mad and Michael balked at the idea of losing control. Especially now, with the world in flux, after years of solidity. The South Africans had released Mandela, trouble brewed in the Persian Gulf and protestors had broken down the Berlin Wall. The non-Eucleidan walls of the British government were beset by wider, more complicated shifts and turns." There's a lot of passive front-loading going on here, with information that could be actively revealed through dialogue and action being handed to us via point-blank narration. Our introduction to Michael puts him immediately in the position of observer, which is not in itself problematic, but he's never really allowed to break out of it -- the plot keeps him not just inactive, but almost non-reactive. Psychic powers aside, everyone around him is far more interesting than he is, which makes remaining restricted to his perspective difficult for the reader; it's hard to connect with a person who's essentially just a human camera placed between you and the real excitement. We then jump straight from Michael's interior musings to a dialogue with Fanshaw which would work far better as a start-point for the story, a potential opportunity to reveal Michael through his choices, rather than the lack thereof. "Inside the B&B, Fanshaw turned to Michael. Appraising him with a steady blue stare, Fanshaw asked, "Not looking for a father figure, are you? In me?" "No, sir," Michael said automatically, surprised. "Just as well. Everyone is an orphan in our business, don't you know?" Fanshaw smiled and strolled through the oak-panelled reception and asked for Mr Philips' room." What if Michael -- surprised by Fanshaw's question -- has to actively restrain himself from following his first impulse to "scan" Fanshaw, using his powers to figure out just what Fanshaw means by this cryptic remark? This would inform us that Michael A) has powers and B) has been trained in their use, as well as opening up a sidebar train of thought which could then (if the author wants) be used to explain a bit more about Fanshaw and Michael's relationship to each other. 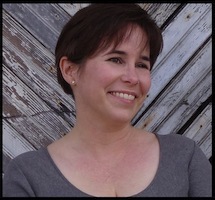 Workshop alumn Fran Wilde is an author and techonology consultant. Her short stories have appeared in Asimov's, Nature, Daily Science Fiction, and (upcoming) Beneath Ceaseless Skies. Her interview series, "Cooking The Books" -- about the intersection between food and fiction -- has appeared at Strange Horizons, Tor.com, and on her website. Fran's first novel is forthcoming from Tor/Macmillan in 2015. You can also find her on Twitter and Facebook. One of your claims to fame is hosting "Cooking The Books." Explain, if you would, what "Cooking The Books" is about and what gave you the idea. Second, I was looking for a way to use social media that wasn't all about me -- to promote the community, and people who are doing amazing things within it. Third, I'd been comparing faux recipes in diplomats' cookbooks with writer Steven Gould while at Viable Paradise. When I mentioned a particular recipe for Elephant Stew, which begins "First, cut elephant into bite-sized pieces," he said "that sounds like the recipe for a novel." Coincidentally, Steven Gould was Cooking the Books' first victim. Er, interviewee. How many authors, agents, and other literary lights have talked to you about writing and food? Has anyone surprised you with what they said? So far, twenty-five/twenty-six individual interviews, and one group interview from the Journal of Unlikely Entomology. These include Elizabeth Bear, Ann Leckie, Walter Jon Williams, Steven Brust, Joe and Gay Haldeman, Aliette de Bodard, Chuck Wendig, Gregory Frost, Saladin Ahmed, agents Russ Galen and Rachel Kory from SGG Literary, Tor editor Miriam Weinberg, Michael Swanwick and Marianne Porter, and 2013 Campbell award winner Mur Lafferty. Everyone surprises me. Food is something particularly universal that is intensely personal. And I love to cook and eat. So with the interviews and the recipes that each interviewee shares (which can be real or imaginary), I get to combine my worlds. With that said, the interviews are often about more than food. Aliette talked about cultural appropriation. Gregory talked about research and history. Bear talked about worldbuilding. Russ talked about -- well, everything. Food--the rituals surrounding its preparation and the importance of certain foods--can reveal a lot about a culture, and how its people live. I also imagine it can say a great deal about the division of labor and gender roles in a society. Do most of the writers you talk to for "Cooking The Books" use food as a world building tool? I think it's a very rich worldbuilding tool. Especially as you've pointed out. It's hard to say what most writers do -- they're complex creatures, and I'd rather let them speak for themselves. And among themselves. You can check out the roundtables for a glimpse of the variety - the one at Tor.com, and the one at Strange Horizons. Do you use food to world-build in your own writing? Yes, but I also use a lot of other tools and data. Food is about line-of-supply, and traditions, and technology -- and I get swept up in the engineering of those things, as well as other engineering and tech elements. What or who got you started writing? How old were you when you wrote your first story? I come from generations of yarn-spinners and tall-tale-tellers on both sides, and grew up listening to that. At the same time, I read everything I could get my hands on, including, very early, a lot of the science fiction and fantasy. I published my first story/poem in a third-grade newspaper, I'm pretty sure. Eventually more poetry followed, as that was easier in some ways. I studied literature and poetry in college, both the writing and the reading of it, took my MFA in poetry pretty soon after, published some things, and began to teach writing, and then programming too. I kept my genre reading to myself, though anyone who visited my apartment for dinner eventually got handed a copy of whatever I was reading, usually with lots of handwaving and "this is so cool" emphatics. And I wrote a bunch of stories that I didn't finish. I didn't dedicate myself to those stories, because I'd made a ton of other obligations (teaching, working for a non-profit, running my own consulting firm). After a long stretch of this, I realized that I would be much better off if I just wrote what I liked best. And what I liked best was science fiction and fantasy. But thing is, I was writing in a vacuum. My writing mentors were poets, and if they liked genre, they were keeping that to themselves as much as I was. I kept not finishing things. So I asked around and a friend suggested looking for online workshops and crit groups. A google-search later and I found the OWW. A month later, I was a full member. I learned so much here, and am so grateful for the friends I made here. It still took a long time to get to the point where I was ready to publish stories, or to write a whole novel. But my path to getting to that point began, in part, here. With the community here. And the OWW led me to another huge stepping stone, which was the Viable Paradise workshop. What have you published lately? What's on the horizon? "Like a Wasp to the Tongue," in Asimov's April/May 2014 issue. A new foodie-flash up at Daily Science Fiction. And a story from my gem world series is forthcoming at Beneath Ceaseless Skies. Next year, Tor will begin publishing my Bone City trilogy, with the first book coming out in 2015. I sold it as Bone Arrow, but there's (*breaking news*) a title change coming. I'll probably be able to talk about that on my blog soon. What is the most exciting/happiest thing about being a published author? Connecting with readers who enjoyed something I wrote. What is the scariest/shake in your boots thing? Talking to people I admire. Hah -- I'm a really slow learner on that one. Tim W. Burke wants us all to know he sold a novella: "I just sold 'Oracle, Detective, City Essentia' to Eggplant Productions. Thank you to Rosemary Althoff, Liz Underwood, and Ariel Long for reviewing its first half and giving me guidance for its remainder." Congrats, Tim! Gio Claval has more sales reported this month: Later this year "Like Reeds In Summer" will appear in the Oneiros Books surrealist anthology This Is Not an Anthology, edited by Christopher Kelso (2014), and "Playground" will be in PS Publishing's Postscripts (2014). Way to go, Gio! Daniel Connaughton was excited to tell us: "My two novels Keeper of the Bones and Imora have both been published by Double Dragon Publishing and are now available at Amazon, Kobo, Barnes & Noble, iTunes, and at the publisher's website. Thank you to everyone for your help and support!" Congratulations, Daniel! Gregor Hartmann sent these glad tidings: "'Into The Fiery Planet,' a story that was reviewed here earlier this year, sold to The Magazine of Fantasy and Science Fiction. It will appear later this year. My thanks to the four people who critiqued it." Major congrats, Gregor! Heidi Kneale has news to share, too: Her novella "For Richer, For Poorer" is forthcoming from The Wild Rose Press in late 2014, and her short story "Goldilocks Zone" will be published in Aphrodite Terra this August. Excellent news, Heidi! Henry Szabranski has two stories forthcoming in the future: "The Dragonmaster's Ghost" will appear in Fantasy Scroll Magazine and "Within Without" will appear in Lakeside Circus. Great news, Henry! Delia Martin has been gifted (or some would say cursed) with the ability to peer across to the other side. Since childhood, her constant companions have been ghosts. She used her powers and the help of those ghosts to defeat a twisted serial killer terrorizing her beloved San Francisco. Now it's 1917 -- the threshold of a modern age -- and Delia lives a peaceful life with Police Captain Gabe Ryan. That peace shatters when a strange young girl starts haunting their lives and threatens Gabe. Delia tries to discover what this ghost wants as she becomes entangled in the mystery surrounding a charismatic evangelist who preaches pacifism and an end to war. But as young people begin to disappear, and audiences display a loyalty and fervor not attributable to simple persuasion, that message of peace reveals a hidden dark side. As Delia discovers the truth, she faces a choice -- take a terrible risk to save her city, or chance losing everything? Erenthrall—sprawling city of light and magic, whose streets are packed with traders from a dozen lands and whose buildings and towers are grown and shaped in the space of a day. At the heart of the city is the Nexus, the hub of a magical ley line system that powers Erenthrall. This ley line also links the city and the Baronial plains to rest of the continent and the world beyond. The Prime Wielders control the Nexus with secrecy and lies, but it is the Baron who controls the Wielders. The Baron also controls the rest of the Baronies through a web of brutal intimidation enforced by his bloodthirsty guardsmen and unnatural assasins. When the rebel Kormanley seek to destroy the ley system and the Baron's chokehold, two people find themselves caught in the chaos that sweeps through Erenthrall and threatens the entire world: Kara Tremain, a young Wielder coming into her power, who discovers the forbidden truth behind the magic that powers the ley lines; and Alan Garrett, a recruit in the Baron's guard, who learns that the city holds more mysteries and more danger than he could possibly have imagined . . . and who holds a secret within himself that could mean Erenthrall's destruction -- or its salvation.